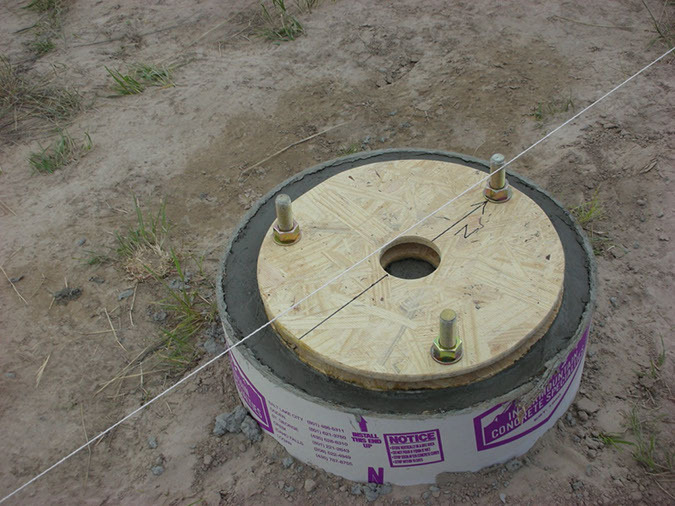 The Astropier mounting bolt assembly is shown installed in the freshly poured telescope foundation. The string provides a reference for orienting one bolt toward true North. It is aligned with the line marked on the top waferboard.